1. Mixer input: Electronically Balanced. 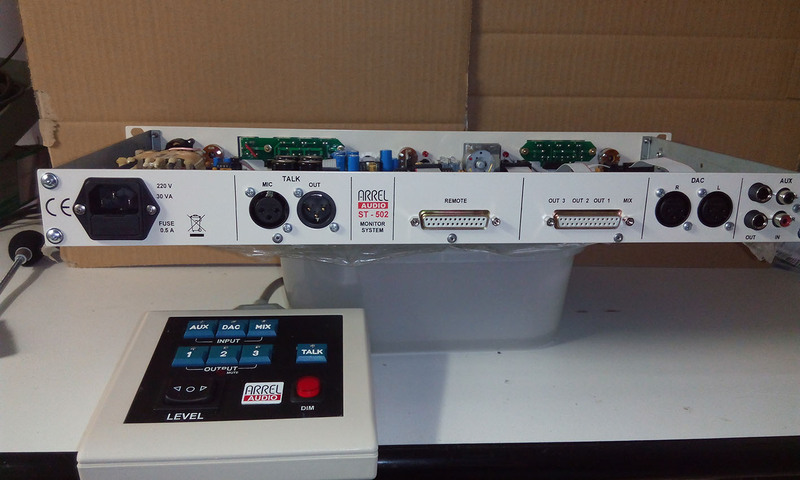 Impedance 10 Kohm, Input Level +4 dBu, Max Input level +30 dBu, DB 25 connector. 2. DAC Input: Electronically Balanced. 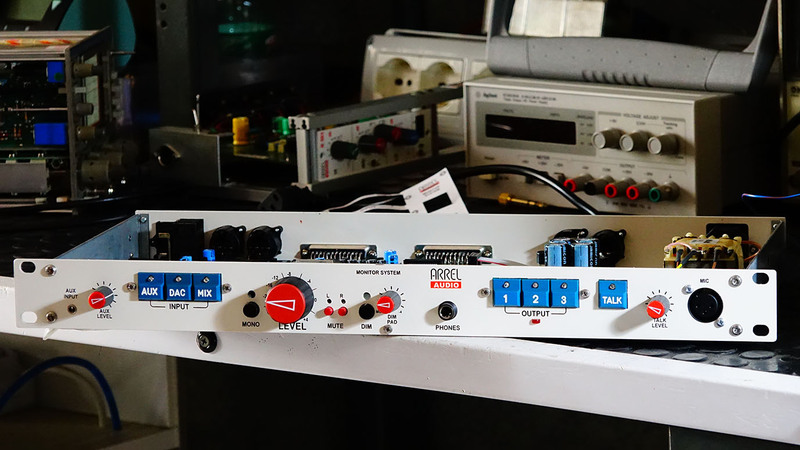 Impedance 10 Kohm, Level +4 dBu, Max +30 dBu, XLR connector. 3. AUX Input (CD/DVD player): Unbalanced, Impedance 47 Kohm, Input Level [ -17 dBu , -2 dBu] , Input Gain control on the front panel (AUX), Pin Jack RCA on the back panel + Jack 3.5 mm on the front panel. The use of the 3.5 mm Jack on the front panel excludes the Pin Jack RCA on the back panel. The CD/DVD/ (AUX) input is amplified and balanced balanced and the output is available on the back panel (TRS Jack). The output is always active and do not depend on the selected input. INPUT SELECTION: 3 momentary push buttons with electronic interlock (high quality audio relays). LEVEL: Precision potentiometer with large knob. Motorized potentiometer if requested together with the remote control. DIM: Push button (LED). Attenuation from 6dB to the infinity. DIM control is actuated by the TALK push button. OUTPUTS: 3 Outputs selected by momentary push buttons (electronic interlock)(high quality audio relays) Electronic balancing. Low output impedance External load > 600 ohm. Out level +4 dbu. Max Out level +28 dBu. In the ST-502, non used outputs are automatically shortened to avoid crosstalk. DB 25 connector on the back panel. TALK: Condenser electret Microphone on gooseneck base and XLR connector on the front panel. 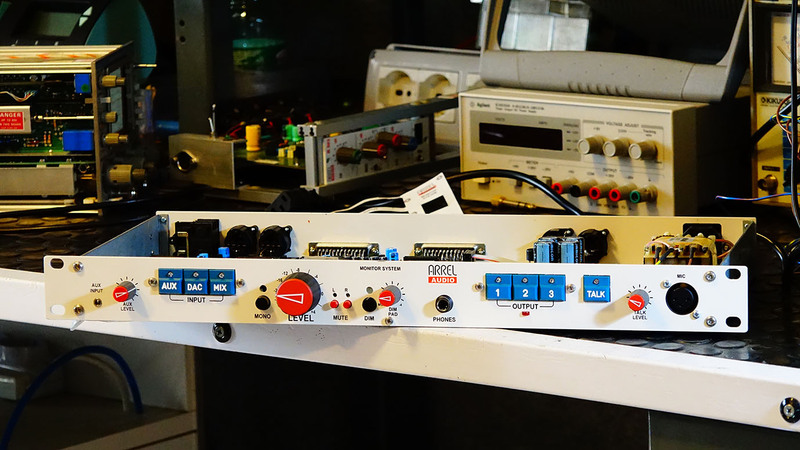 Gain control ( 20 dB range) on the front panel. 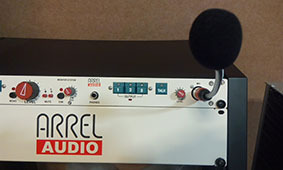 Mic selection by the TALK push button (LED) (High quality audio relays). XLR connector on the back panel. The TALK push button activates the DIM control. The remote control requires the installation of the motorized potentiometer. The remote control is connected to the ST-502 unit by using a DB25 standard cable (no audio signal on the connections). The controls on the ST-502 unit are replicated on the remote control. UP/DOWN output volume control Motorized pot.